Shabbychick Junk. 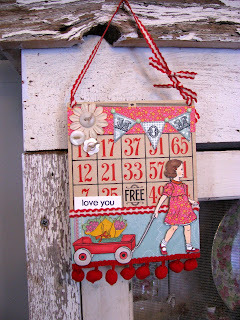 : Pink Persimmon - May Guest Designer! Wow! These stamps needed to be put into your hands! Your style is PERFECT for them! 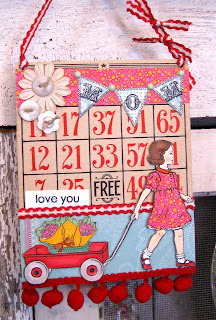 I love everything, especially the Bingo card! I have been loving this set for some time. The BINGO cards are just too fun! Great job on being chosen for the blog feature! GREAT STUFF LZ! I love your style! 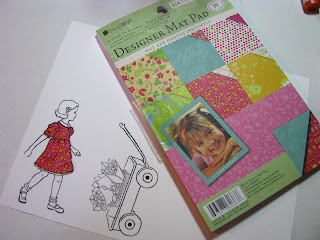 This darling girl and red wagon have been my favs since I first saw them last year! I'm excited that you will be their guest designer. Congrats! I love their stamps but have yet to get any...perhaps you're pushing me over the edge now!! Great card!